Sibling Rivalry Press, LLC, 2013. 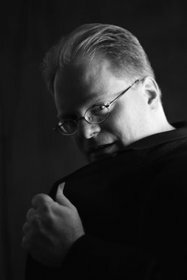 Collin Kelley is the author of The Venus Trilogy of novels Conquering Venus, Remain In Light and Leaving Paris (Sibling Rivalry Press). His poetry collections include Better To Travel (Poetry Atlanta Press), Slow To Burn (Seven Kitchens Press), and the American Library Association-honored Render (Sibling Rivalry Press). Kelley's poetry, essays, reviews and articles have appeared in magazines and journals around the world. Thank you Collin for your comment on my story. sorry it took so long,haven't had internet in a week!! also welcome! You must log in to write on Collin Kelley's wall.